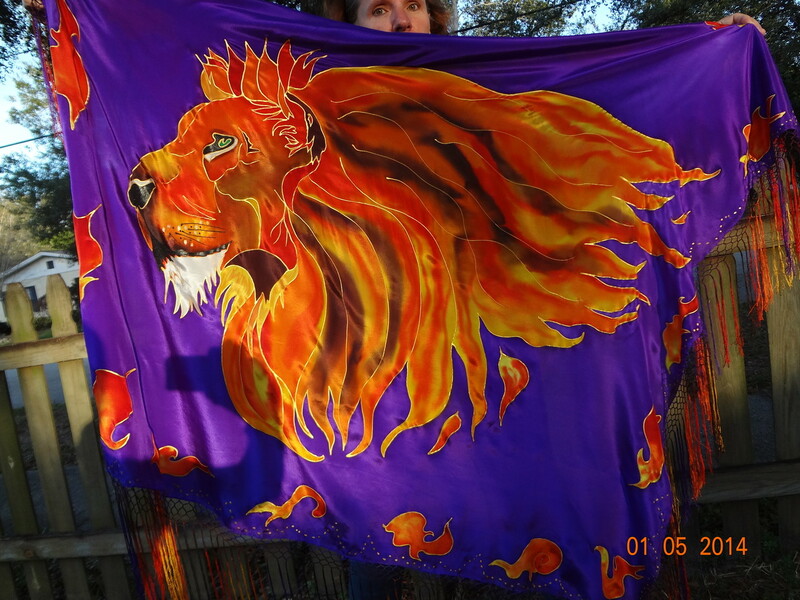 Firey Lion Prayer Shawl - 3 Strand Cord Silks - Glowing Silk Flags & Billows based on the Bible, Jesus and His Church, to enhance your worship of God! Firey Lion of Judah reigns over a deep purple background, surrounded by His flames of passion for His people! This photo shows the 7" fringe, all hand dyed by the artist. Scripture reference is Revelation 5:5. 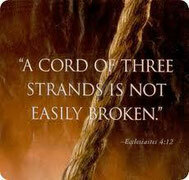 This is a perfect for the Intercessor/Prayer Warrior! 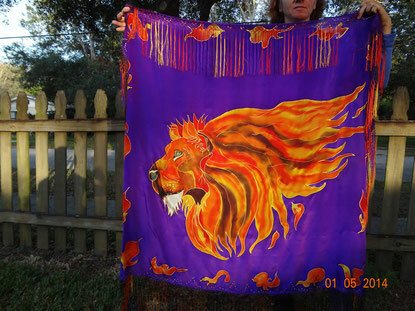 Lion of Judah with flames all around on a deep purple silk shawl! Measures about 45 x 45" with 7" fringe all around. Scripture reference is Revelation 5:5.